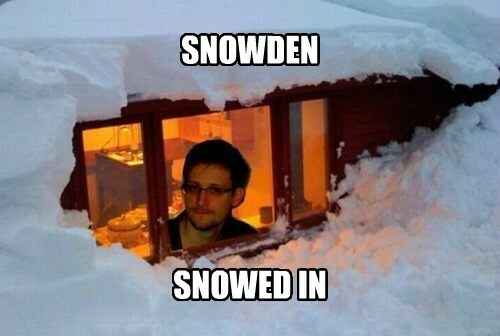 i'm sure we can all rest easy, now, knowing snowden simply got snowed in. that's what you get for going to russia, i suppose. this is shopped, of course. i can tell by the pixels and by having seen quite a few photoshops in my time. not shopped by me, though.